ATP! has teamed up with Never Shout Never to giveaway a pair of tickets (to any date of your choice) to their upcoming Christmas tour with The Downtown Fiction and Nick Santino (of A Rocket To The Moon). 3) Tweet: "Hey @AlterThePress! I want to win tickets to see @NSNOfficial!" The contest closes November 14th. 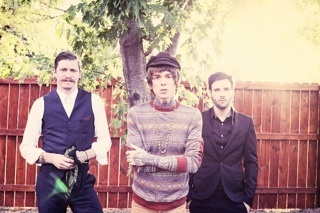 Dates and ticket information for Never Shout Never's "The Xmas Tour" can be found here.